The second floor was technically a half story with three bedrooms and a tiny bathroom. The original hallway was very dark wood paneling and felt closed in. Our goal with the second floor was to freshen up the bedrooms and to add more style and character to the hallway. We think we accomplished that goal and hope you agree! This stunning light fixture adds a beautiful light patterns to the walls in the stairwell. We stained the oak flooring a dark espresso/walnut color to warm up the space. 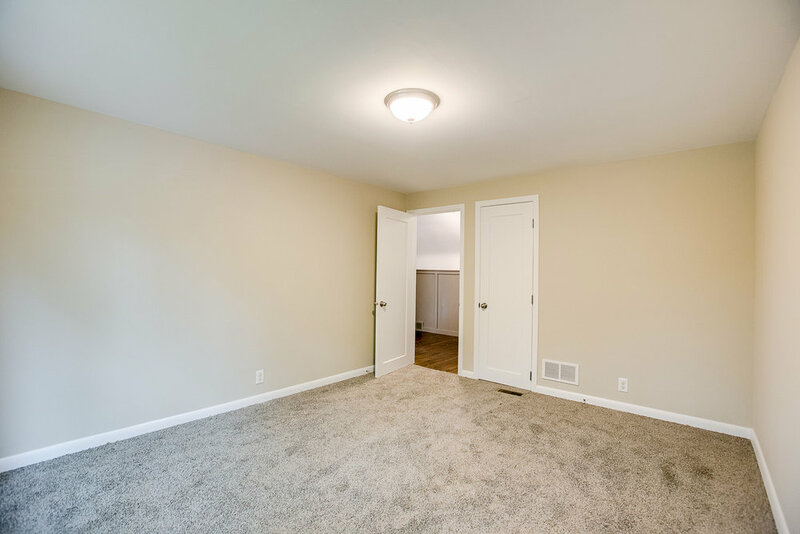 *Items listed on the individual room pages are examples and not necessarily the exact items used in this remodel.